Lead Scoring is an automatic dynamic scoring system that provides insight into the engagement level of your Contacts. You set the criteria that adds to the Lead Score, and how long the score lasts. By scoring your leads you can customize a prospect's experience, nurturing them for future engagement, sales, and repeat business. Know who your most engaged prospects are. Spot re-engaged prospects in your database. First, you decide what you and your salespeople are looking for in a prospect and what to you constitutes a hot lead. Are CEOs the most important prospect? Are you looking for folks who download free advice from your site? Maybe people who simply visited your site? Whatever it is, you can award prospects points for two kinds of things: explicit information and behavioral information. Explicit information are the values stored in contact fields. This is what you get when a prospect fills out a form. For example you might give 10 points if a prospect says they’re the CEO, or 5 if they’re from Colorado, or 20 if they say they’re looking to buy in the near future. Behavioral information is what you get from ONTRAPORT’s email, SMS and web tracking systems. For example, you can award 3 points to a prospect for clicking a link in an email you sent out, or 10 for visiting your pricing page, or 20 for purchasing a membership to your website. Lead scores degrade over time. You'll need to set up and adjust score degradation which is how how much of a percentage a contact's lead score will go down (or degrade) every day. The reason to degrade a score is to reflect that NEW activity is always more valuable than old activity. That is, 10 webpage visits today is more valuable than 10 page visits from three months ago. ONTRAPORT doesn’t degrade scores that are based on contact field values (explicit information). The reasoning is that the CEO is probably still the CEO five months from now, so that score should remain. But activity (behavioral information) scores do degrade; any score that comes from something like a webpage visit, a link click or email open. 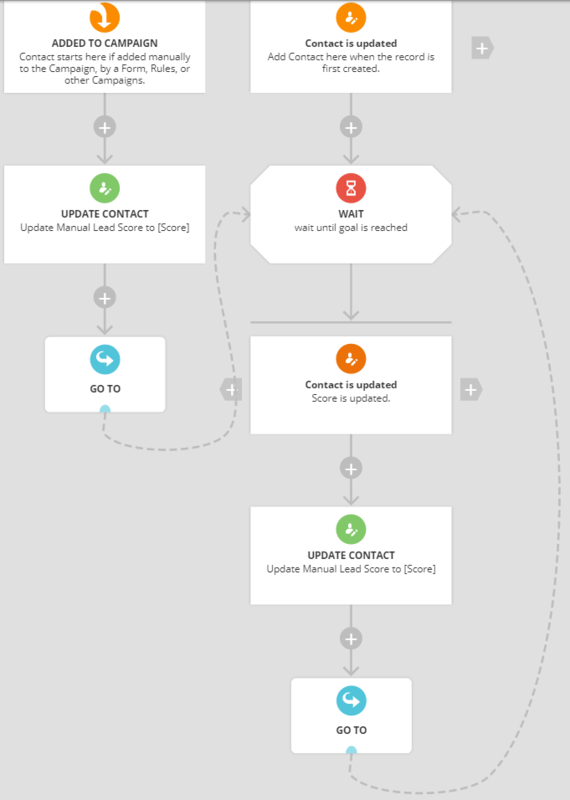 ONTRAPORT calculates the score from the time the Contact is added to the Contacts database. This means if you determine that people who purchase your ebook "All About Us" are actually the hottest prospects, adding a Lead Scoring Rule giving those purchasers 500 points will immediately increase the score of all those purchasers. You don't have to wait weeks or months to see who the hottest prospects are. Score degradation is not retroactive, and starts from the moment the Lead Score points are actually added to the contact. 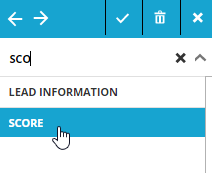 Add Contacts to different Campaigns based on their Lead Score: Create Triggers or Goals based on the Score is updated or Score is [This] [Number] condition. Measure Contact Engagement by looking at the Lead Score raw number and percentage in the Contacts collection. A percentage shows up next to each contact's Lead Score in the Contacts collection. The purpose of the percentage is to give you the relative importance of that contact's score that could be higher than the raw number would have you believe. The score percentage is based on the median score. The contact with the highest score gets 100%. The median score gets 50%. The rest of the scores between the median and the top are weighted to reflect that smaller range of values. A similar calculation is used for scores below the median but still above 0. The raw Lead Score number is rounded to a whole number, but behind the scenes the real Lead Score number is a decimal value, and the percentage is calculated using this real number. This means you may see contacts with the same numerical Lead Score but with slightly different percentages. I am surprised there is no way to create a contact group based on lead score! Can you add this as a feature? Yes, I totally agree. Why is there no option to group based on lead scores? Apparently you need to create a campaign to do this, what a lot of mucking around. Definately would love this added as a feature in future. Thank you. You can add Score as a column in the Contacts Collection, and sort by that column by clicking on it. The other option is to create a custom Numeric field and assign the Lead Score to it each time the Lead Score changes using a legacy Rule or a Campaign. You can then add that static numeric field as a condition for a Group.